This last weekend I ran video for my church and needed to create a slide loop for announcements at the beginning of service. Now, I’m a MediaShout guy still so I’m used to whole projects, Bible verse references instead of playlists, queues, and the good ol' quad monitor (come on, who doesn’t love that thing). 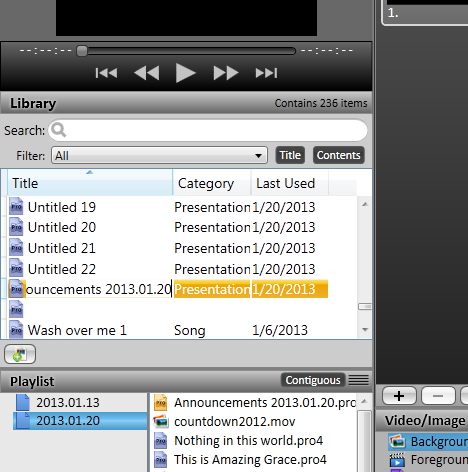 As I have come to find out however, ProPresenter is not MediaShout in any way (not that that is a bad thing). To make matters a bit more difficult, Google didn’t have much on how to do this…​until now (queue dramatic music). Before we get going though, I want to mention that this could be done with a timeline and playlist. For this time around though we will just use timers. With that, let’s get started! You should now have an empty playlist. 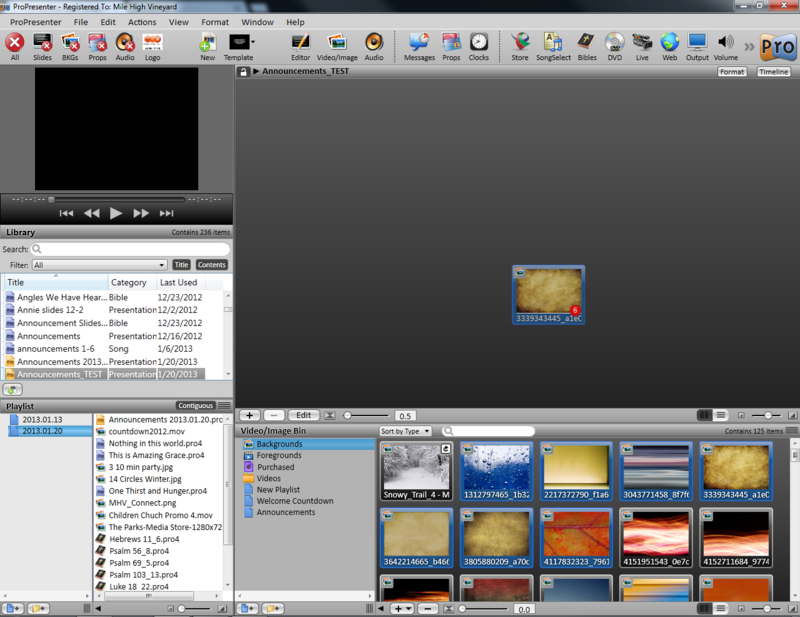 Add the images you want from your Video/Image bin. To do more than one at a time without launching the slide on the projector, use ctrl+click to select multiple items and ctrl+click to drag to the playlist window. 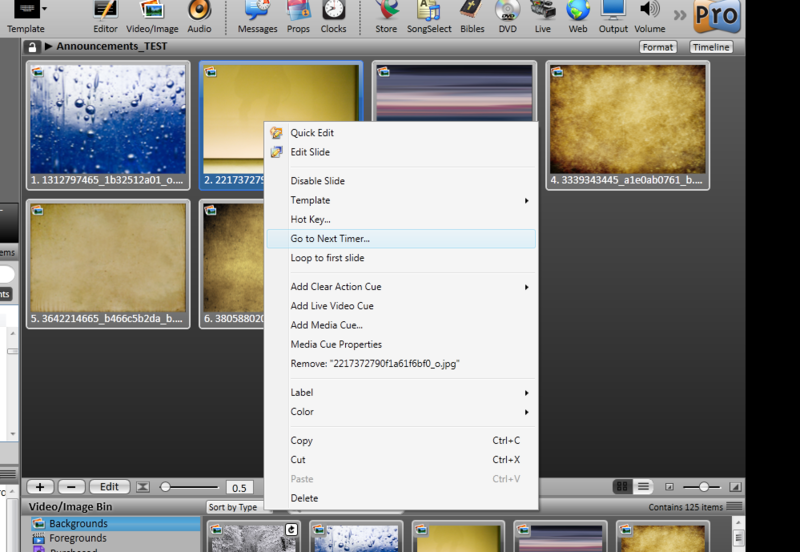 Once you’ve added all the images you want for your loop, right click each one and select Go to Next Timer…​. 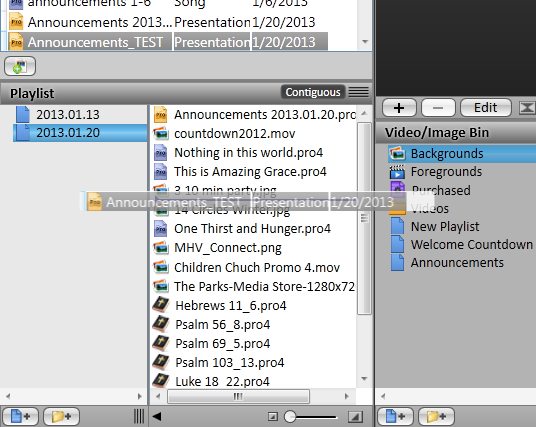 A new window will open with a field labeled Seconds and a checkbox labeled Loop to first slide. Click the up arrow or manually enter the number of seconds you want each slide to display for before advancing to the next. Also, you typically don’t want to check the Loop to first slide unless you want your slide loop to end on that slide. Once you have applied timers to all the slides you want in your playlist, simply add the library playlist to the presentation playlist. Now if you launch any of the slides in the library playlist, it will auto-advance and loop through no matter which slide you launch first.